It is difficult to say anything about Rashid Rana’s work that hasn’t previously been said. Rana, one of the most well-known artists from the region, is already so exhaustively discussed and written about that to pick out a comprehensive strain of thought neatly is almost impossible. To make the task easier (or more difficult) one is almost tempted to assemble a tentative list of standard linguistic formulations to ban from the text at hand: paradox, contradiction, duplication and so on. While on the one hand, the oft-repeated phrases do transcribe the many meanings in Rana’s oeuvre but through their excessive, and sometimes exclusive use, also truncate other possible readings. It is not suggested that the ideas these words express are not valid to the artist’s practice. On the contrary, their established connection in existing text is too overpowering for subsequent thought – a possibility temptingly enabled by the complexity of the works – by a writer to fully take hold on a separate plane. However, it is also acknowledged that such circumvention of the listed words would barely qualify as a transgression, serving as a whimsical symbolic reaction to platitude, rather than offering an alternative reading. However, the stronger strain of affinity between his works is not purely aesthetic. Rather, it is his persistent and ironic attempts at transcendence from corporeal limits, whether they are manifested in geography, chronology, culture, tradition or other normative ideas of collectivity. Rana is aware that the ambition is an impossible one. At any moment, seemingly insurmountable boundaries between this and that, here and there, self and other may perish without trace and one may even find themselves on the wrong side of their faith and intention. Thus, his ‘paradoxes, contradictions and duplicates’ are not simply the clever identification of such but they point to an undifferentiated state of being where the naming and thus, categorizing of things is either irrelevant or deceitful. The artist is also aware that this impossible escape is simultaneously the perfect trap because immobility is the only experience available to the effortlessly kinetic: if one could be free of geography, time, and the limits of a physical body would one feel the need for this freedom and what would one do with this sanctioned erasure of one’s parameters? Particularly, in his later works such as the Transliteration Series, A Room From Tate Modern, and Transpositions Rana is increasingly concerned with scattering temporal and spatial coordinates in such a way that location is untethered to a possible third space that is always invisibly present in the overlap between here and there; history, lived reality and possible futures; in summation between the direct experience of a body and the indirect psycho-geographical terrain of a consciousness. 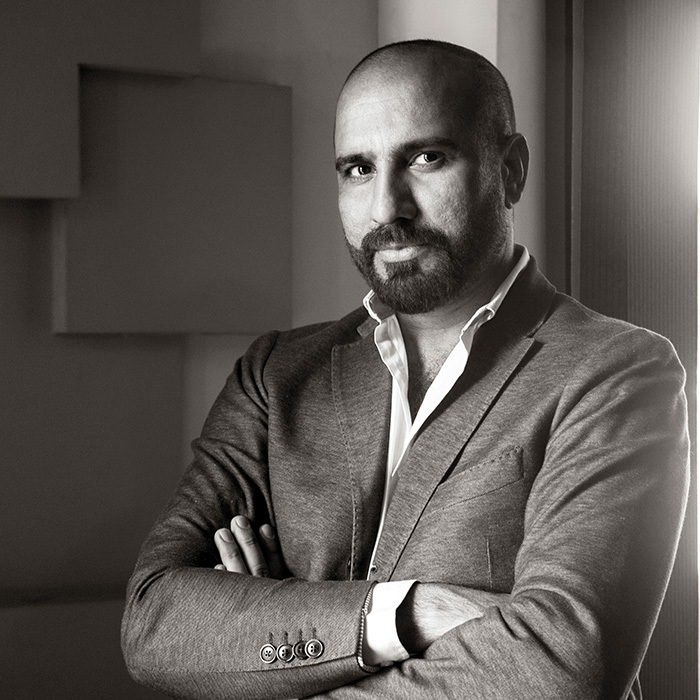 The following conversation dispenses with the intimidating task of fresh insights on the artist’s impressive oeuvre and instead focuses on Rana’s role as the Artistic Director for the inaugural Lahore Biennale scheduled to take place in 2017. Thus, both the interviewer and the artist are furnished with the liberties of a speculative vocabulary. 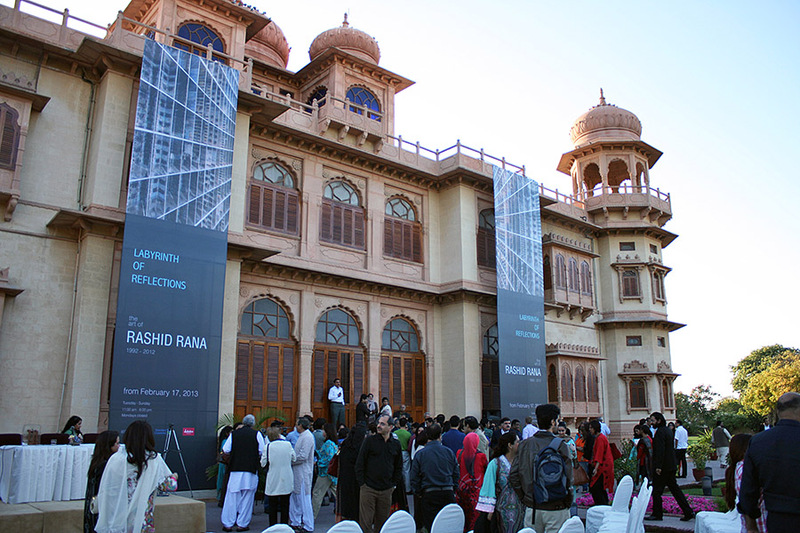 How did you become involved with curation, particularly with the Lahore Biennale? I curated a ‘Resemble Reassemble’ in 2010 when I was approached by Lekha and Anupam Poddar. In 2004, they had expressed an interest in acquiring experimental art produced in Pakistan – a category that was ordinarily dismissed as uncollectible by others. Over the course of the next three years, the Poddars accumulated one of the largest collections of contemporary art from Pakistan and from it, the exhibition brought together the works of forty-five artists. Similarly, I was asked again to curate the inaugural exhibition of Canvas Gallery in their newly built space. This resulted in ‘Extra|Ordinary’, an exhibition in which artists were only asked to fill a two-step form indicating a readymade object and its display requirements. I hadn’t anticipated or planned curating the Lahore Biennale either but when the board approached me with a request for a proposal, I came around to the idea. Are there any ideas that are currently shaping your thinking? 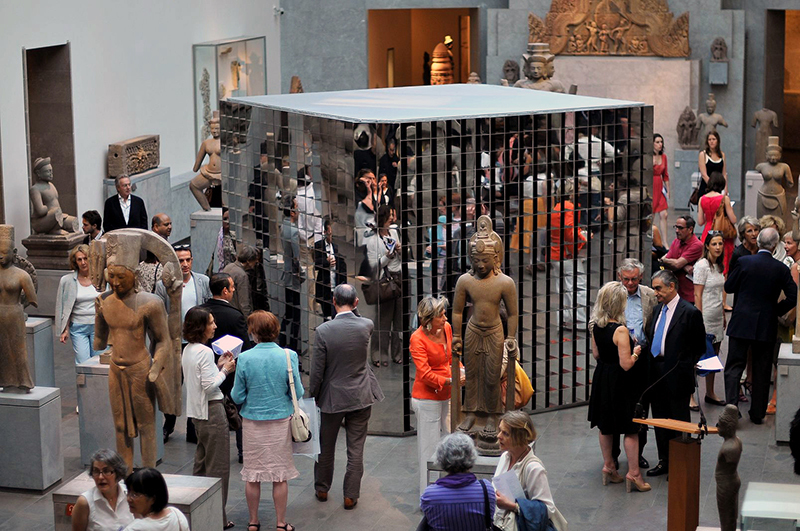 Could you site any experiences that shaped your curatorial outlook? The ideas I am dealing with in terms of my own practice also influence my curatorial outlook. I have been concerned with the ways in which geography necessarily intersects with identity, particularly in regions that were colonized in the past. If one is born in Amsterdam, one doesn’t live under the shadow of responding to or resembling Rembrandt’s work, but the same burden of necessarily invoking an imaginary tradition is present for an artist from Pakistan. This was one of the major challenges when curating the Resemble Reassemble show. Since all of the participating artists were from Pakistan, I did not want it to look like a national survey where the ideas of the artists are trumped in favour of their geographical background. 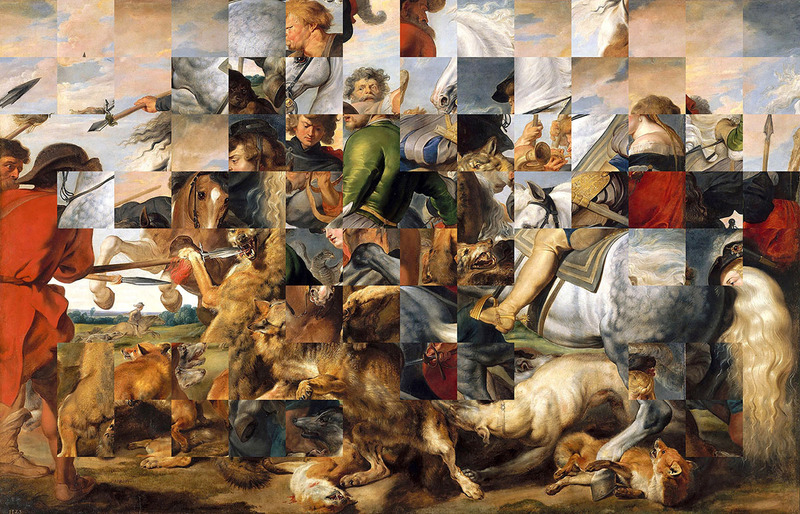 Therefore, I adapted a playful strategy, linking works through visual connections to create juxtapositions where orthodox ideas of genre and chronology were upended. Over the years my attempts at transcendence from physical parameters have gained nuance and I recognize the inescapabilty of geography. Even as I reject one-dimensional notions of belonging and a seemingly permanent tradition, my mere engagement holds me entrapped. However, I do not prescribe to an East/West dichotomy. Rather I see our contradictory experience of reality as the negotiation between the actual and the remote. The former holds the body and sensory experience as the site and means of all knowledge, while the latter is made up of all indirect sources of knowledge including history, collective knowledge or contemporaneity happening elsewhere. There is no denial of either since they are not two separable autonomous spheres. I also think the experience of curriculum design for School of Visual Arts & Design at the Beaconhouse National University is of significance in shaping my curatorial outlook. It was a focused introverted period of solitary research during which I was able to align my ideas with application. At SVAD, we hope to offer a learning experience that allows a student to shrug off inflexible and prescriptive ideas of location and tradition. Do you seen curation from a different lens than production? I see both as forms of production. Art practice, for me, involves a single active mind whereas curation is more collaborative and involves a number of minds. Production perhaps allows more artistic possibilities but on the other hand, curation allows a panoramic view of contemporaneity even as it extends the present moment, thus creating newer contexts under which art works can aspire to multiple meanings sometimes even beyond the intention of the artist. Thus, curation has the possibility of feeding back into artistic practices and vice-versa. You proportioned more artistic possibilities to production and at the same time think that curation can liberate the reading of a work from parochial contexts. How do you compare the agency of the artist and the curator in determining the reading of a work? I don’t think that the agency of a curator and artist are necessarily dialectic although of course it varies greatly depending upon the specific artist/curator transaction. The organization of the artworld particularly enables an artist and curator to assert their agency in different scenarios or frameworks but that doesn’t mean those profiles need to be bracketed. Particularly, in this region, artists are often juggling between multiple profiles in the absence of an established infrastructure. Give us some preliminary thoughts on the curatorial premise of the inaugural Lahore Biennale. The curatorial premise is still undergoing revisions but there are a few things I am interested in. The premise will broaden and challenge the conception of both ‘art’ and ‘artist’ thus softening the parameters of the discipline. This requires looking at the present conception of the discipline as a condition of history; what we identify as art today was not necessarily seen as such in the past. Speculative futures may assign a completely different project to visual expression and experience. It may reacquire a function albeit with a different sensibility from its past roles. Moreover, I am also looking to challenge the traditional format of the biennale. Since the discipline itself is undergoing revision, traditional forms of exhibition making will not suffice. Rather, the anticipated format of the biennale will depend on the nature of the artistic projects and thus remains mercurial. How are you making sense of the city? Are there any particular aspects you are interested in? I am interested in its complicated present, located often at the heart of contradictions. The past and future of the city continue to inhabit or sometimes, even haunt its present. Its nonlinear sense of time, eccentric character and peculiar circumstances enable multiple realities to coexist. The idea of Lahore is intersected by the lived experience of many disparate individuals and communities, further complicating notions of identity and belonging. One person’s version of Lahore is not the same as any other. I recognize the city as a complex urban space undergoing rapid and sometimes unexpected transformation. How do you locate the event chronologically and territorially? In terms of chronology, I hope to imagine possible futures by working materially with the present. In this way, the idea is untethered from temporal location. Moreover, this will not be a biennale which is just an exhibition of works handed over by different artists. Rather, by engaging critically with the discipline and the format, I hope that the subsequent dialogue generated will chronologically extend into the future trajectory of art. In terms of territory, it is anticipated that we will have some sort of a centrality for projects that require assumed neutrality and for disseminating information effectively. Beyond that, the curatorial premise opens the space for adaption of existing spaces and creation of new ones. The acquisition, insertion or collaboration required with these spaces will be determined by the artistic projects. Similarly, these projects can also extend beyond their physical locations, metaphorically, conceptually or even physically if so conceived. Will the Lahore Biennale leave Lahore in any format? In idea and conversation, the entire event may leave Lahore. Specific artistic projects may also plan their own escape mechanism. There isn’t a limitation to how far and in what ways the Lahore Biennale may travel. Are you thinking of the degree of participation from artists located in Lahore? Do you see this as a necessary responsibility? Do you think existing practices in the city will align with the curatorial premise? That is a tricky question because I do not think it is easy to define what being located in Lahore means. Some artists from the city are on visiting residencies or educational programs, how do we categorize them? How do we categorize diaspora? How do we categorize someone who currently inhabits Lahore but is not a permanent resident? I hope to challenge these paradigms but in any case I do see significant participation of artists from the city. It is not a necessary responsibility but I feel that there is a general lack of facilitation and fewer opportunities to show, view and respond so the Lahore Biennale can address that. Existing practices from the city, although exciting, do not align with the curatorial premise. It is going to be a trial for me to start from scratch but I think artists will also welcome the challenge. In that case, would you say the Lahore Biennale is not ideologically neutral since it is aspiring to steer the direction of art from the region? It is not ideologically neutral. I think that is clear in the very breath in which we admit to challenging the scope of current artistic practice. I am seeking to overturn and inundate the existing capacity of the discipline. The curatorial premise is very particular but its interpretative potential leaves a huge breadth through which it can be approached in many diverse ways. I hope that it can be communicated effectively. How do you then imagine the legacy of the Biennale, particularly in terms of artistic practices, public and patronage? In Pakistan, art academia has emerged as a significant and influential limb of the artworld. Moreover, contemporary art emerging from the region has found viewership and patronage from across the globe. Thus nestled between the academia and contemporary art, the Lahore Biennale may create an alternative space. This space can open up collaborative possibilities and challenge the scope of traditional institutional organization by providing critical sites for experimentation in spheres of art practice, exhibition-making, public space and others. I hope that the inaugural biennale, through its subversive curatorial premise and strategy, can redefine the scope of artistic activity. It would be easier to create the same project where aesthetics and function intertwine and not call it ‘art’. By still identifying the deviation as such, we are taking the more difficult route of having to undo seemingly fixed disciplinary foundations. It is my desire that we create something which generates ideas for a larger discourse in art world and yet remains relevant to a large number of audiences from Lahore. The first Lahore Biennale hopes to directly engage with the inhabitants of Lahore to whom the sensory experience of the event will be most accessible. I hope to create a network where participation and power lies diffused, thus creating a horizontally rather than a vertically structured system. Moreover, the nature of the proposed premise and format is such that when artists devise ways to overlap function and art, they will find their own specific partners, collaborators and even patronage. These other parties may even become active participants. At the same time, when I think of the legacy of the first Lahore Biennale, I am aware of its complexities: How does the first biennale while remaining influential for subsequent cycles, resist becoming the prototype? How do you perpetuate urgency and flexibility? Do you think the Biennale is a sustainable format? Because we are already discarding the idea of a conventional biennale, where a lot of resources are spent on the acquisition, care, transportation and display of art objects, the sustainability of the Lahore Biennale can be ensured by remaining imaginative and flexible of its possibility. What kind of a relationship do you think the event might have with the state? I would hope it is a collaborative one since the proposed nature of the biennale is such that it will require extrinsic support from lots of governmental and non-governmental partners. I think the Lahore Biennale Foundation has already developed significant linkages in the city through its past year of collaborative activity. Do you see yourself continuing with curation after the LB? It is dependent on the kind of opportunities that come my way. Rashid Rana b.1968, works and lives in Lahore, Pakistan. He is currently the Dean of School of Visual Arts & Design at Beaconhouse National University in Lahore. Recent solo exhibitions include a major mid-career retrospective, entitled Labyrinth of Reflections at Mohatta Palace Museum, Karachi (2013), as well as solo surveys at Cornerhouse, Manchester (2011) and Musée Guimet, Paris (2010). His participation in major group exhibitions includes the Venice Biennale (2015); Kiev Biennial (2012); Fotomuseum Winterthur, Whitechapel Gallery and Saatchi Gallery, London (2010); the Asia Society, New York (2009), the fifth Asia Pacific Triennale, Queensland Gallery of Art, Brisbane (2006) and the Singapore Biennial (2006). Rana also has an upcoming survey show at Kiran Nadar Museum New Delhi.